Atmospheric from the start, The Midwife by Lily Knight opens in an old mining town in the center of the island of Sicily, an area that “even on horseback” is difficult to reach. There, in the late 1800s, the poor are desperate, the rich are powerful, and the separation between the two is “vast and dangerous.” The class separation is so volatile, in fact, that friends of the young, poor, and beautiful housemaid Lucia must whisk away the newborn daughter Lucia conceived with her rich employer’s eldest son, taking “the sleeping babe out into the night” and leaving it in an abandoned burned-out house. The hollowed-out spot behind what used to be a stone stove “would either be [the baby’s] temporary home or her grave. This was left up to a wiser power.” Since no real talk or evidence of God occurs in The Midwife, readers can credit Knight with being the “wiser power” who decides not to let the baby’s story end in a cold, sooty kitchen. Instead, she is found and taken home by fledgling farmer Giuseppe Rondinelli, who delivers her to the orphanage that becomes her home for six quiet but difficult years. The nuns at the orphanage name the girl Mara Trovato—“Mara” meaning “bitter,” and “Trovato” the word for “found.” It is a cruel name, says her adoptive mother, but as both she and the reader quickly learn, it is one that defines how Mara will live. For Mara, happiness does not last; love is short lived and choices are few. The bright hopes that arise within her when she finally finds her calling as a skilled midwife quickly darken when she becomes involved with the Mafia. Brilliantly original, The Midwife has the potential to become a sweeping, family saga as unforgettable and mesmerizing as Jeffrey Eugenides’s Middlesex. Knight’s Mediterranean imagery, though sparse, is lush; her main protagonist is unique; and her almost-compelling characters span several generations. The first third of the book, in fact, focuses not on Mara but on her mother, Lucia. Here Knight describes Lucia’s love affair with the irresistible Ruggero Monteleone, as well as the curse Lucia’s friend Assunta places on Ruggero’s family. But Knight leaves readers wanting. Plotlines, like the curse, are left hanging. Rather than providing detail, Knight skims through the story, offering readers few opportunities to lose themselves in Lucia’s or Mara’s worlds or to feel as though they have really gotten to know any character. Knight tells rather than shows the story, and because of this, what could be an outstanding novel is rendered mediocre. 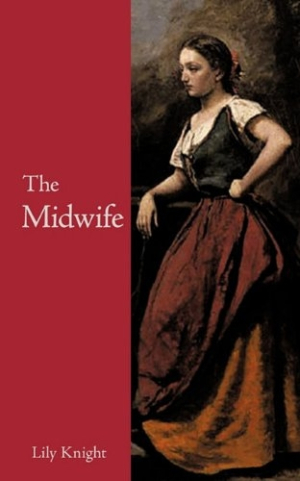 How wonderful it would be for Knight to give The Midwife another go, adding the depth that would give Lucia, Mara, and their stories the vibrancy they deserve.